We conducted a study a couple of years ago (pdf also available) to look at public awareness of penguins (using university students as a sample) and found that nearly half (43%) of those questioned though that penguins were protected under the US Endangered Species Act (ESA) and were thus listed as “endangered.” At the time only one penguin was listed on the ESA (the Galapagos penguin, Spheniscus mendiculus). The IUCN currently classifies five species of penguin as “endangered” 2 and six as “vulnerable” 3. The biggest threat to penguins generally is, unsurprisingly, climate change. The chicks of Magellanic penguins (S. magellanicus) in Argentina have experienced increasing mortality because of increasing numbers and severity of storms, and will continue to experience mortality as these further increase, in addition to additional mortality from increasing rainfall and temperatures. Changing patterns of sea ice cover are impacting Adelie penguin (Pygoscelis adeliae) foraging at Ross Island, Antarctica. 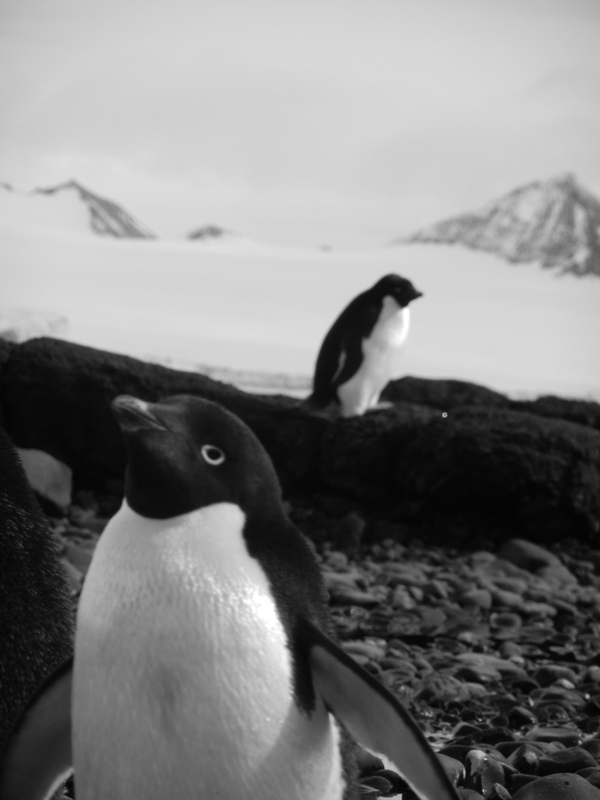 In various locations in the Antarctic Penninsula in particular, Adelie colonies are expected to be impacted by warming temperatures and changes in sea ice with perhaps as many as 75% of colonies decreasing or declining. Although in some locales, melting ice has increased potential Adelie habitat. 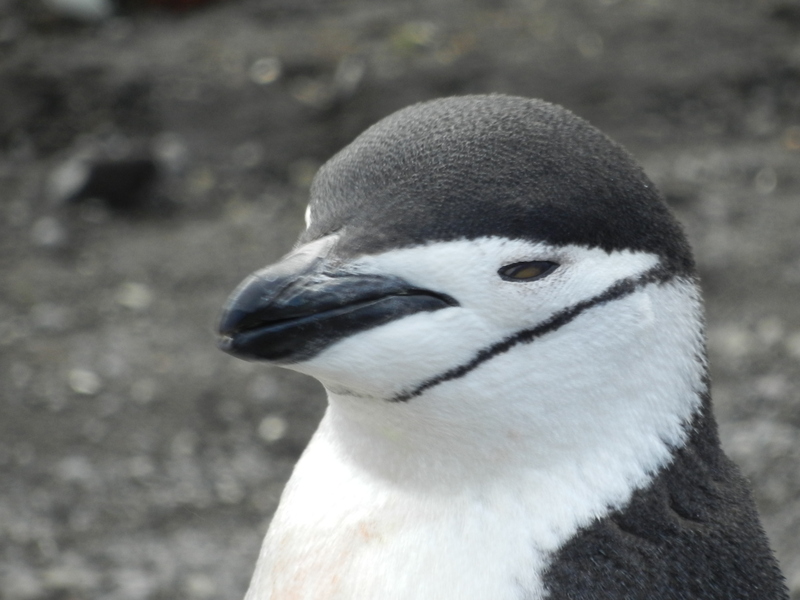 Chinstrap colonies have been reported to be in decline as well, despite this being a more open water species, that was previously being thought of as potential benefactors from melting sea ice – penguin nest occupation on Deception Island declined by more than third between 2002/2003 and 2009/10. 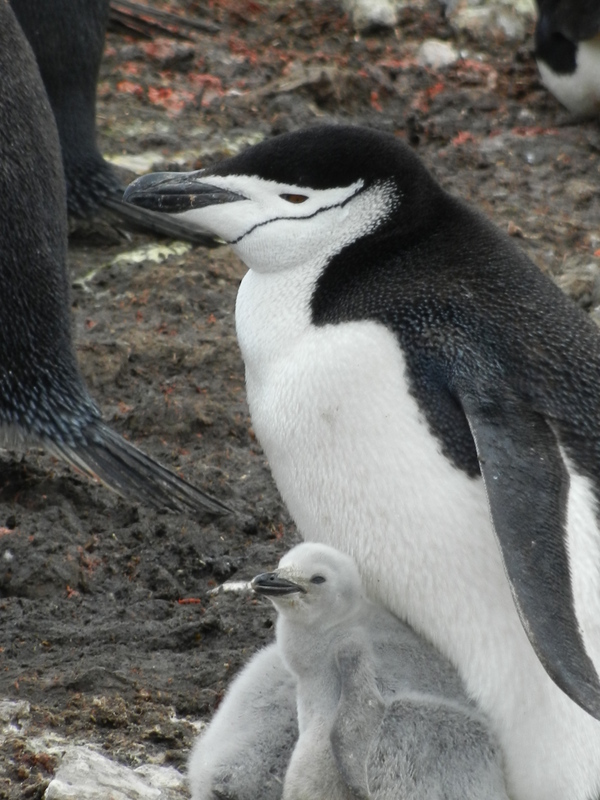 These chinstrap penguins are likely being impacted by declining krill stocks, as will their Adelie penguin cousins, in addition to ice loss which so affects this latter species. 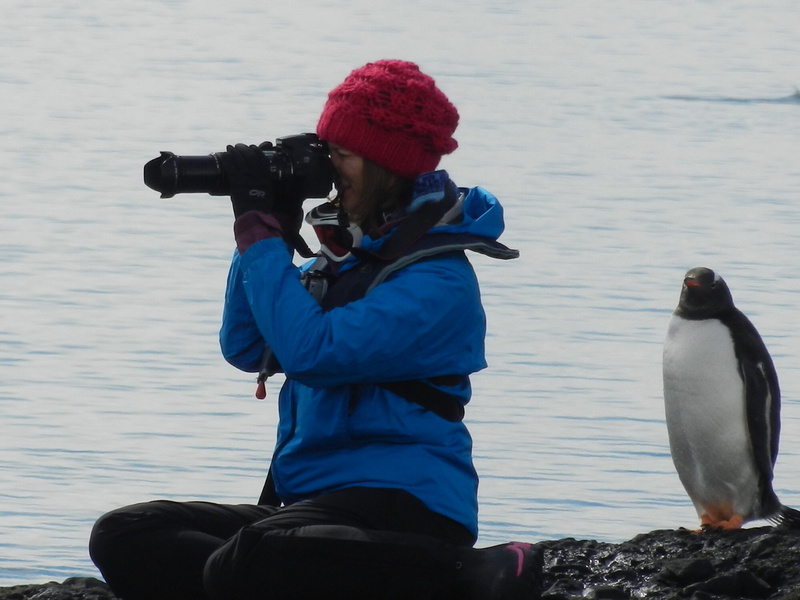 Overall, across the Antarctic Pennisula, there has been a decline in both Adelie and chinstrap penguin numbers. 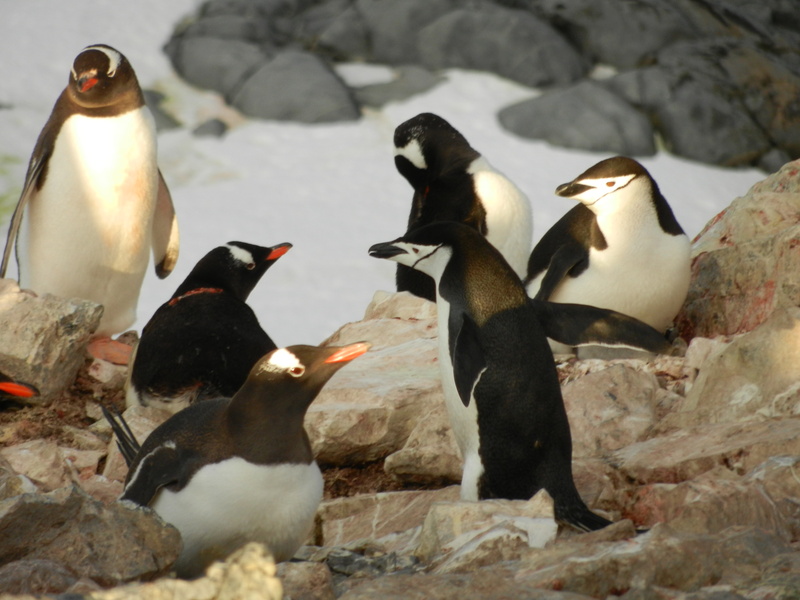 Although Adelie and Chinstrap penguins are declining and may two of the species most impacted by climate change in Antarctica, Gentoo penguins may prosper (see also here) as warming conditions lead to more habitat favorable to this species in the Antarctic Penninsula. That is scant consolation for the loss of two of the – it has to be admitted – cutest of the penguin species. However, even those penguin species that are not currently threatened may have a bleak future thanks to climate change. For example, a recent paper estimated that populations the largest of penguins, the Emperor penguin Aptenodytes forsteri – which at present is considered by the IUCN to be of “least concern” – may decrease overall by 19% by 2100. Moreover, two-thirds of colonies are predicted to decline by more than 50% (also see this paper and this paper and this paper). Despite their current status, at least one colony of Emperor penguins seems to have disappeared already. So there are real and major declines in numerous penguin populations, but few people realize the lack of protection these species have. The situation is such that we probably need more than a day for increasing penguin awareness, but perhaps a whole year where penguin conservation and the changing climate on Antarctica is highlighted. So let’s hope that soon an NGO or agency will call for a Year of the Penguin before it’s too late. 1So why didn’t you post this blog then? Well the excellent blog on the illegal trade in swim bladders and the impact on the vaquita porpoise was coming out on that day. This is probably one of the most important conservation issues of this decade and needs more attention. PS If you want to do something to support penguin conservation and research, I highly recommend Oceanites as a small NGO doing great work, where your donation will be gratefully appreciated! Great blog post! People interested in helping a grass-roots campaign can also check out the African Penguin & Seabird Sanctuary in Gansbaai, South Africa (www.facebook.com/APSSZA). African penguins are expected to go extinct sooner than rhinos when both rates of decline and remaining populations are considered.